It’s been a couple days since I’ve posted-mainly because I’ve been under the weather. Today I started the day with gusto! Since it’s super warm in the northeast (surprise!) I wanted to make something fairly quick so I could spend a lot of time outside. My house has also been neglected, and I always prefer to clean when my house smells good. So I decided to make a cinnamon spiced plum chutney. On low heat cook your mustard seeds dry until they start to ‘pop’ about 3 minutes. Add onions and let sweat for 3 minutes. Add everything else and simmer for one hour, covered. Stir every so often (about every ten minutes). Your house will smell fabulous AND you’ll have a wonderful chutney/pickle when you’re done. Add to sterilized jars (this made about 3 -8 oz jars. Add to a water bath for 5 minutes to seal. Store in your cabinet! 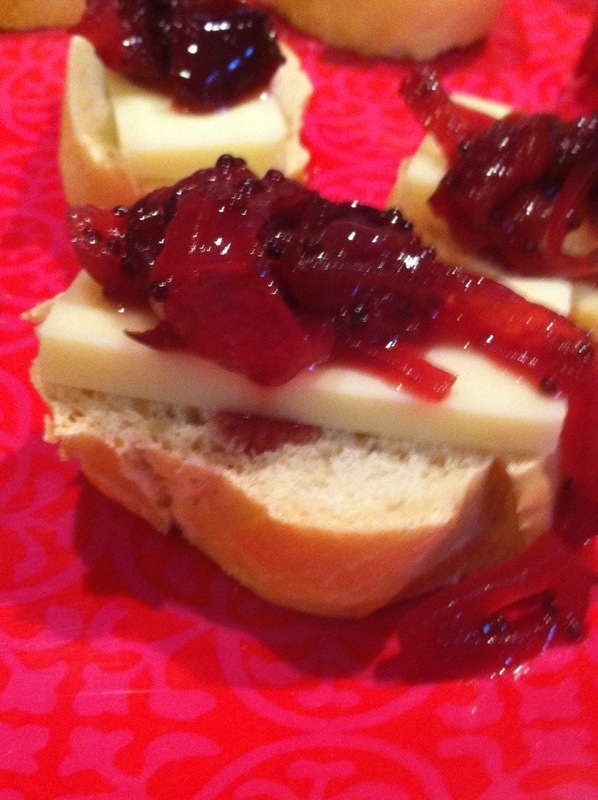 I served as an appetizer on French bread layered with extra sharp cheddar cheese and a generous dollop of chutney. Yum!